For more than 2,700 years Rome has been a crossroads of the world. The city-empire has absorbed and embraced many different cultures, as testified by its impressive architectural and artistic legacy. 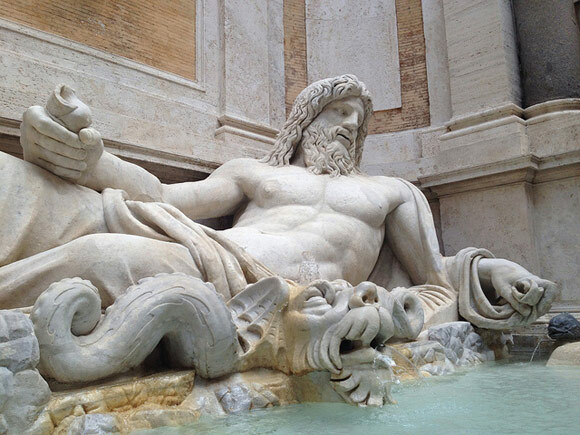 Here is a list of seven of Rome’s best museums where to get a feel of the powerful aura of the City of Seven Hills. 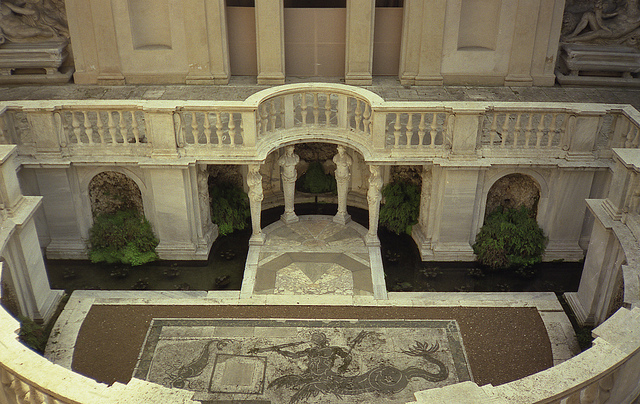 The Capitoline Museums are considered one of the oldest public museums in the world. 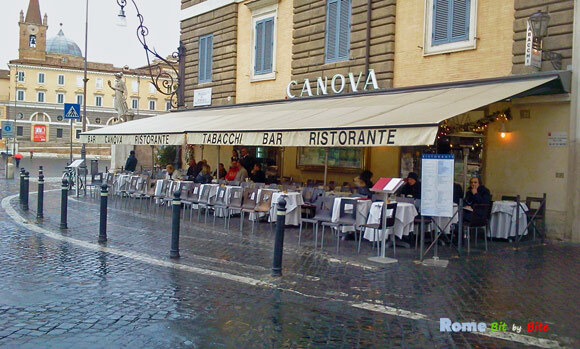 They are located on the Piazza del Campidoglio on the Capitoline Hill, the smallest hill in Rome. 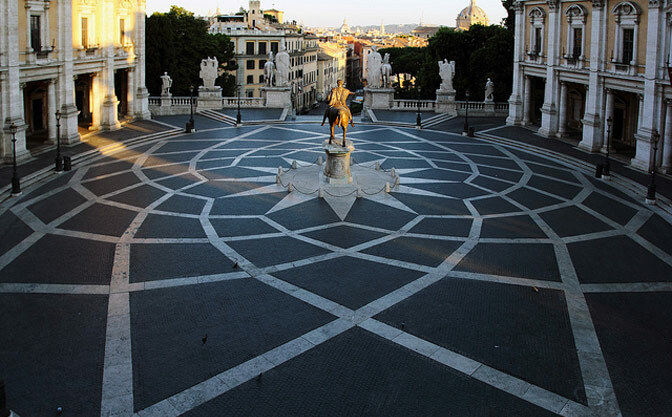 Originally designed by Michelangelo, the Piazza del Campidoglio, its surrounding buildings and the decorated, central pavement were meant to form one homogeneous entity, a kind of “museum city”. 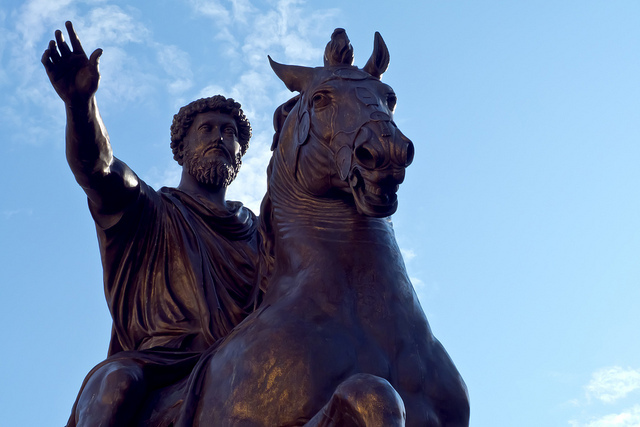 Statue of Marcus Aurelius at the center of Piazza del Campidoglio. 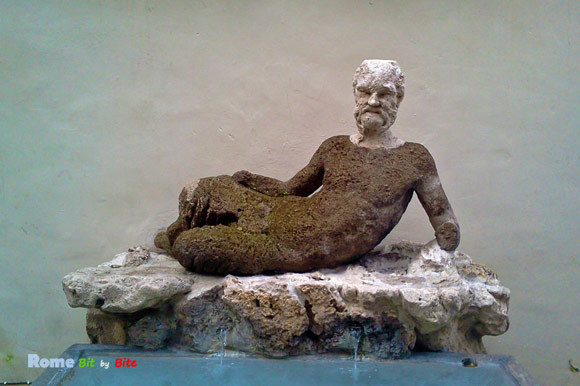 This statue is a replica made in 1981 of the original housed in the Palazzo dei Conservatori Museum. 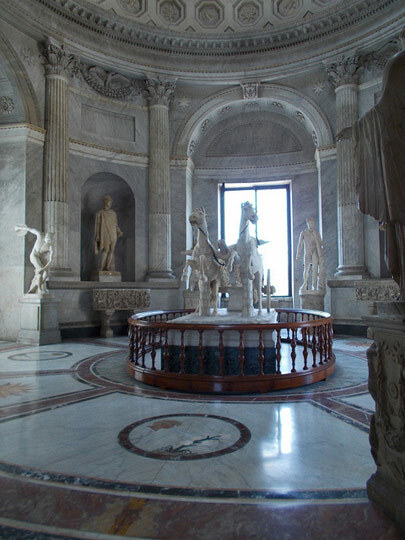 The Capitoline museums include the Appartamento dei Conservatori, the Museum of Palazzo dei Conservatori and the Pinacoteca Capitolina (all three housed in the Palazzo dei Conservatori), and the Museo Capitolino (housed in the Palazzo Nuovo). The museums contain works from the Roman era, but also some pieces from Medieval Ages, the Renaissance and the Baroque era. 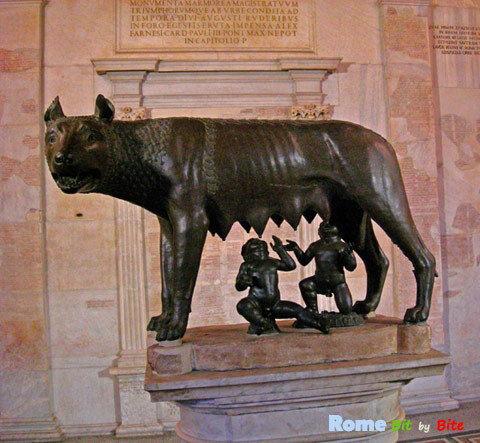 The Museum of the Palazzo dei Conservatori contains a collection of antique art pieces, and also houses the symbol of the City of Seven Hills, the Lupa Capitolina, or She-Wolf of Rome. 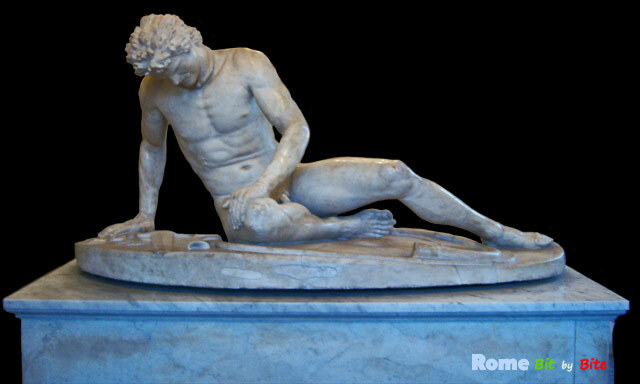 Dying Gaul in the Museo Capitolino. Photo © Rome Bit by Bite. 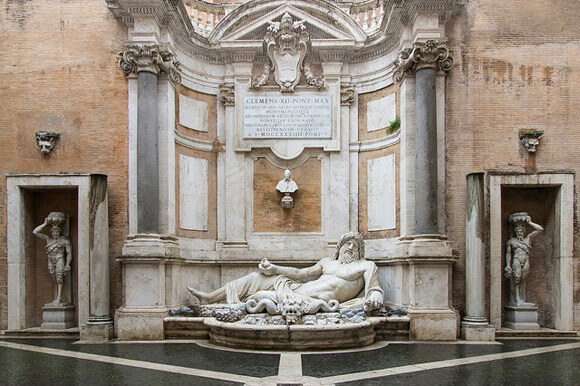 In the courtyard of Palazzo Nuovo there’s the statue of Marforio, one of the Talking Statues of Rome. Marforio. Photo © Rome Bit by Bite. Sala della Biga (Hall of the Chariot) – Museo Pio Clementino. 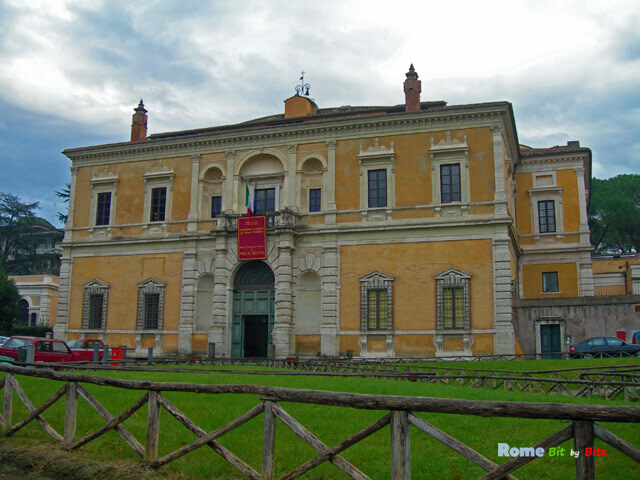 Chiaramonti Museum: contains Roman copies of Greek original art works, as well as original works. 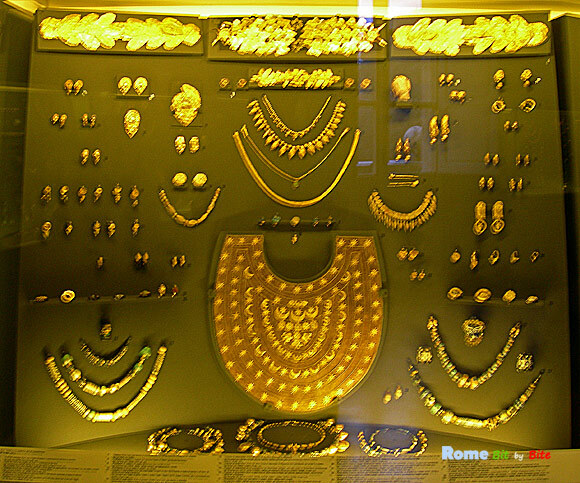 Etruscan Museum: among other pieces, a remarkable gold fibula and the Mars found at Todi. The Four Raphael Rooms (Stanze di Rafaello): a renaissance masterpiece decorated by Raphael and his pupils from 1508 to 1517. 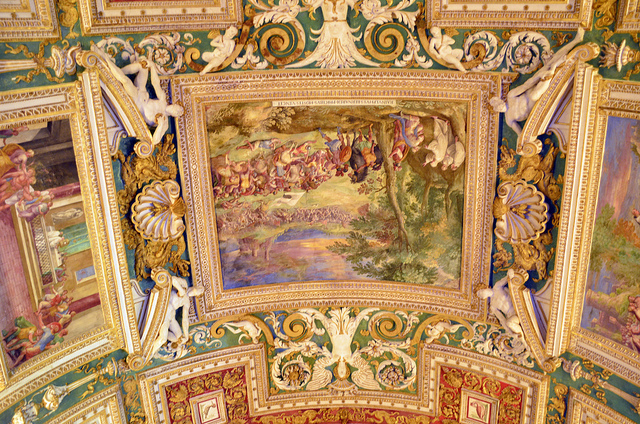 Only the Stanza di Eliodoro and the Stanza della Segnatura were entirely decorated by Raphael himself. 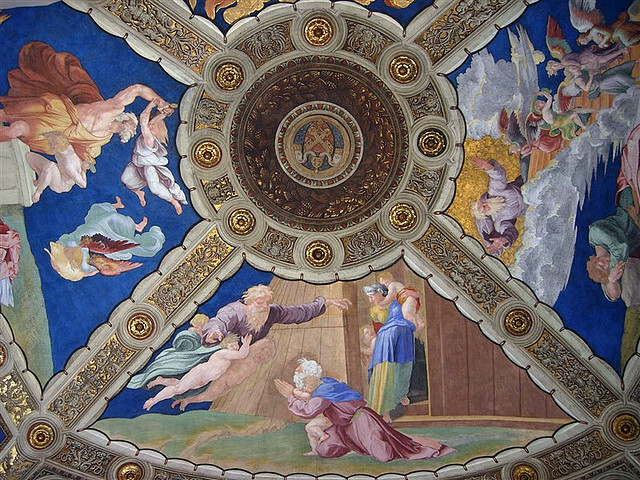 The only exception in the second room is part of the ceiling, which was executed by Il Sodoma and Bramantino. The other rooms were decorated by Raphael’s pupils following Raphael’s drawings and insturctions. 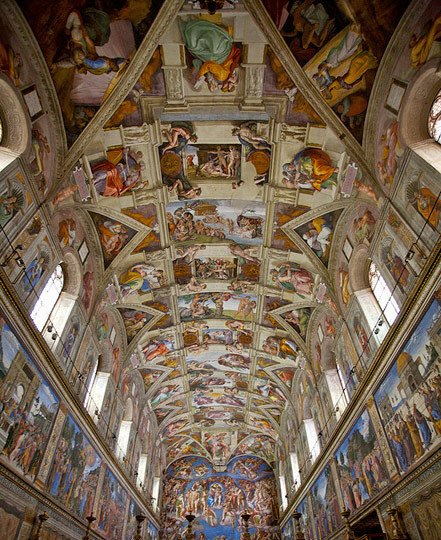 Sistine Chapel (Cappella Sistina): the vault painted by Michelangelo from 1508 to 1512 illustrates the Bible, the Creation, the Flood and above the altar the Last Judgement, added in 1534. 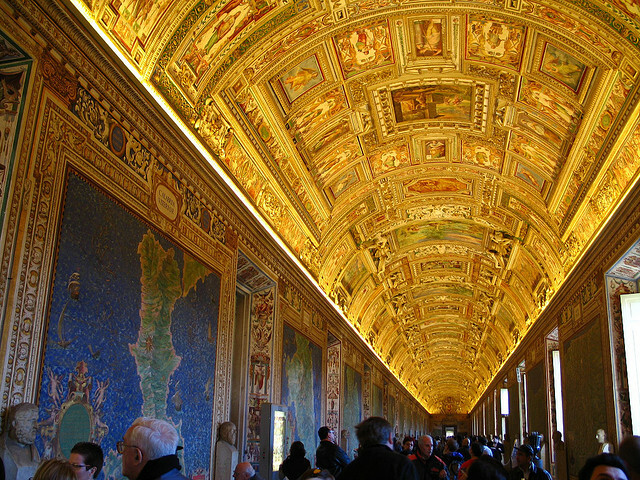 Pinacoteca Vaticana: A gallery with religious-themed paintings from the various papal palaces. The picture gallery, which also contains some impressive works by Raphael, Leonardo da Vinci and Caravaggio, is arranged chronologically and by schools of painting. Julius III’s elegant villa features an impressive collection of artifacts from the Etruscan civilization, the people who inhabited Italy before the Romans. More about the Etruscan museum at Villa Giulia. 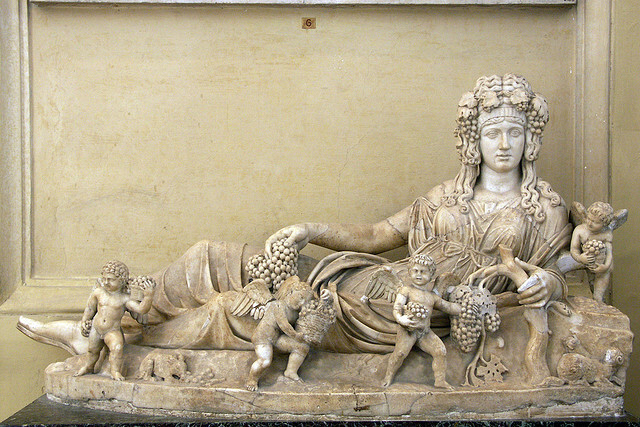 Roman sarcophagus from Portonaccio (180–190 AD) in Palazzo Massimo alle Terme. 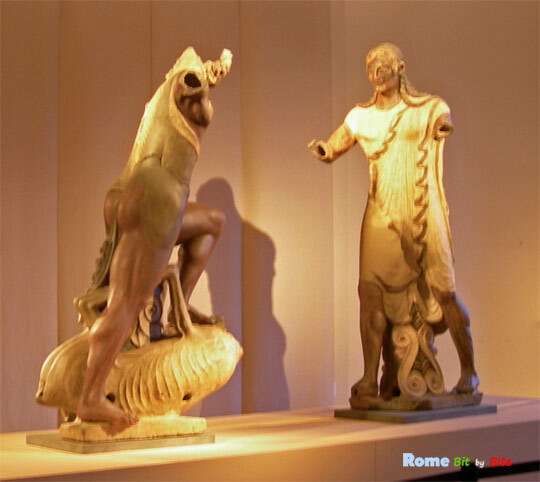 The museum traces the history and culture of the city of Rome, ranging from the prehistory of Rome and the birth of Latin to the Middle Ages. The collections are housed in different locations: Baths of Diocletian (prehistory), Palazzo Massimo alle Terme(figurative arts from the late Republican and Imperial eras) and other antique Roman and Greek sculptures (Palazzo Altemps and Crypta Balbi). 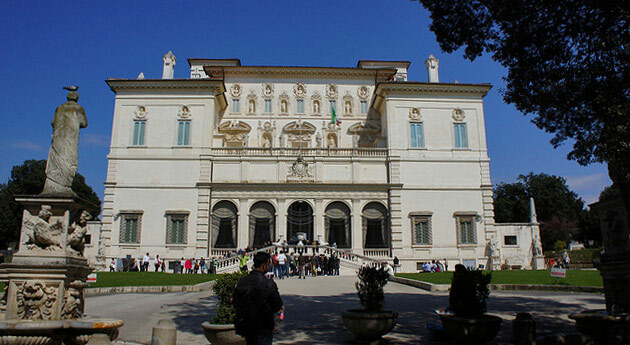 The superb 17th century villa, designed by Flaminio Ponzio for Cardinal Scipione Borghese, hosts a collection of paintings from antiquity to the 19th century. 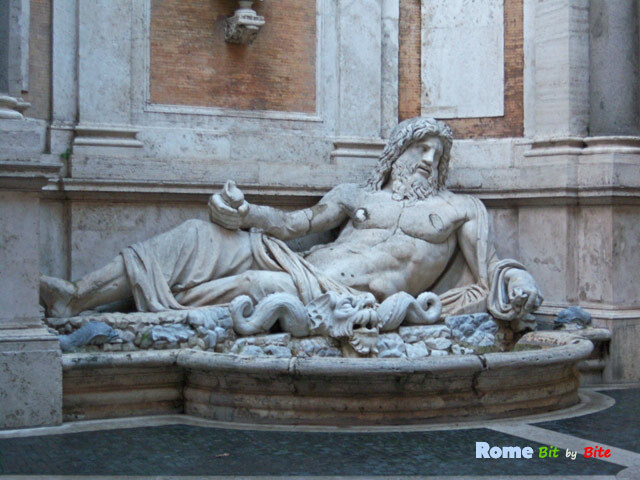 An avid collector of Ancient, Renaissance and neo-Classical art, Cardinal Scipione Borghese accumulated an important art collection and also commissioned work from some of the prominent sculptors of his time, such as Bernini and Cordier. 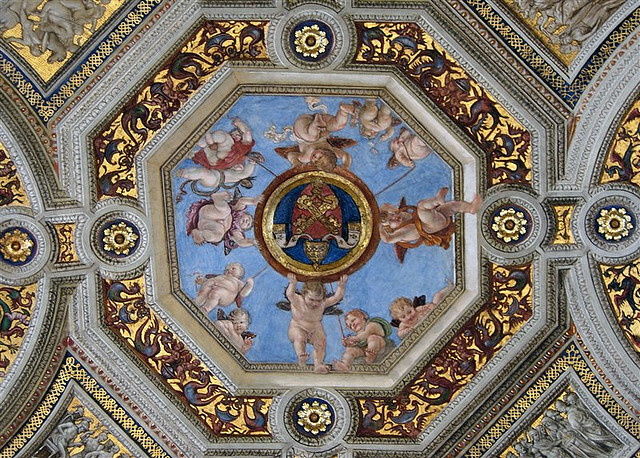 Illusionistic ceiling by Pietro da Cortona among other 14th to 18th centuries artistic works. Paintings by Rubens, Titian, Caravaggio and Van Dyck. 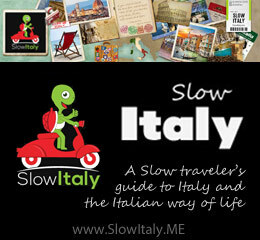 A museum recommended for those who want to know more about the history of Italy. 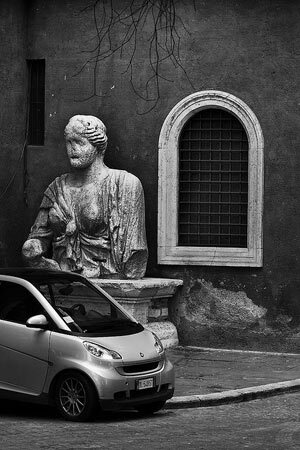 The Talking Statues of Rome are probably one of the city’s most underrated figures. Iconic of the vox populi, they have a remarkable history, yet are often overlooked by tourists and passersby. The Talking Statues got their name from the fact that people made them ‘talk’ by attaching caustic and satirical messages to their pedestal as a form of anonymous protest against the religious and civil authorities of the city. The statues were a kind of informal representatives of the people of Rome at a time when ordinary people were not supposed to express protest or criticism in public. The tradition continues to the present day, with suggestions, witticisms and claims being posted to the statues. This unconventional form of communication originated in the 16th century with the statue known as il Pasquino, a Hellenistic-style statue in Piazza di Pasquino, a little square south of Piazza Navona. The anonymous messages – usually written in Roman dialect or Latin – became known as pasquinate, which later gave rise to the English word pasquinade, a satirical protest in poetry posted in a public place. Rome counts six talking statues. 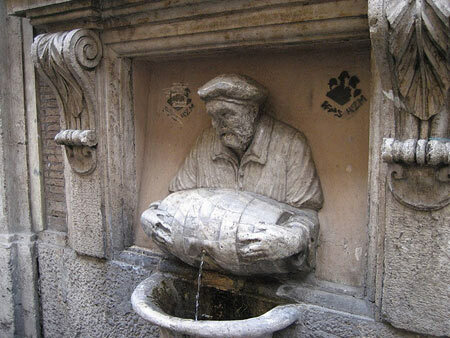 Apart from the Pasquino statue, there is also Babuino, in the eponymous street, Il Facchino in Via Lata, Madama Lucrezia in Piazza San Marco, close to the Palazzetto Venezia, Abbot Luigi in Sant’ Andrea della Valle and Marforio, now in the courtyard of Palazzo Nuovo on the Capitoline Hill. 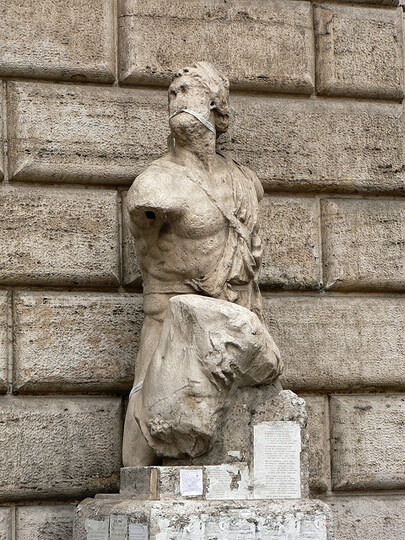 The statue of Pasquino was found in the 15th century in Piazza Navona, but in such a dilapidated state that nobody cared to own it. So, it was placed at the corner of Palazzo Orsini – demolished in 1791 and replaced by Palazzo Braschi – and still stands there today. Il Facchino was originally located on Via del Corso, on the main façade of Palazzo de Carolis Simonetti, which houses the Banco di Roma. In 1874 it was moved to its current position in Via Lata, on a side façade of the same building, to protect it from pollution. Created in 1580, it is the youngest of the Talking Statues, as it is ‘only’ 432 years old, while the other talking statues date from Ancient Rome. It represents an acquarolo, a man carrying a barrel who would take water from the Tiber and sell it from door to door at a time when the Roman aqueducts were under repair and the city’s fountains were dry. 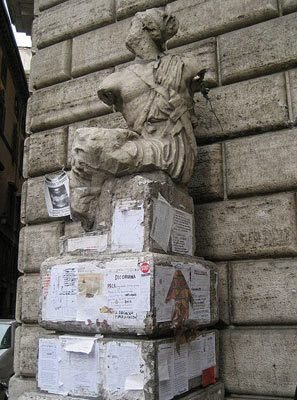 The tradition of posting these pasquinades to the statues started in 1501 when Cardinal Oliviero Carafa organized a sort of Latin literary competition where poems were posted on the Pasquino statue. The latter is actually a fragment of a statue that originally belonged to a group of statues, dating back to the 3 C. BC, representing Menelaus holding the body of Patroclus dying. The statue (and the square) were later nicknamed ‘Pasquino’, after a tailor with a particularly witty sense of humor who was known to be very eloquent with his criticism of the papal government and lived in the neighborhood. Occasionally poems were also posted outside the competition period, as these pasquinades were a very effective way to criticize the papacy and city governors without risking reprisals at a time when the free press did not exist. Especially during the conclaves, the tradition was very popular, with new gossips being posted every night to influence the election of the new pope. The anonymous authors of the poems were often very close to the pope and had direct knowledge of confidential information. 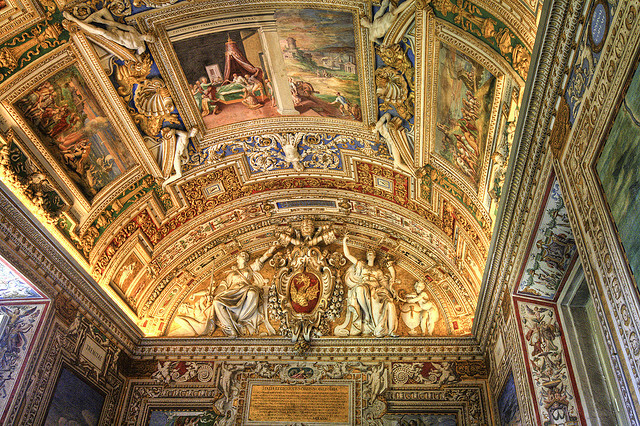 One of the most famous pasquinades is without doubt the one dedicated to Urban VIII Barberini (1623-1644), the pope who allowed to use the bronze decorations of the Pantheon for the canopy of San Pietro in Vatican. The custom spread to other statues when authorities posted guards by the Pasquino to prevent people from posting notes. As a result the public started leaving notes on other statues, as well. These other statues, especially Marforio and Madame Lucrezia, were sometimes also used to post responses to writings posted on Pasquino, creating a repartee and on-going dialogues between the two statues. One famous dialogue was posted in protest against Napoleon, who notoriously plundered the cities of their artistic and archeological treasures after defeating them. Marforio: È vero che i francesi sono tutti ladri? Pasquino: Tutti no, ma BonaParte! Marforio: Is it true that all Frenchmen are thieves? Pasquino: No, not all of them, but a Great Deal of them(a word play on Napoleon’s name and the Roman dialect for buona parte – a great deal). Another dialogue between Marforio and Pasquino relates to the fact that Marforio was moved from his original spot, next to the Church Santi Luca e Martina, to his current location in the courtyard of Palazzo Nuovo. The cost of moving the statue was so huge that the Pope, who then ruled the city, increased the tax on wine to collect the required funds. 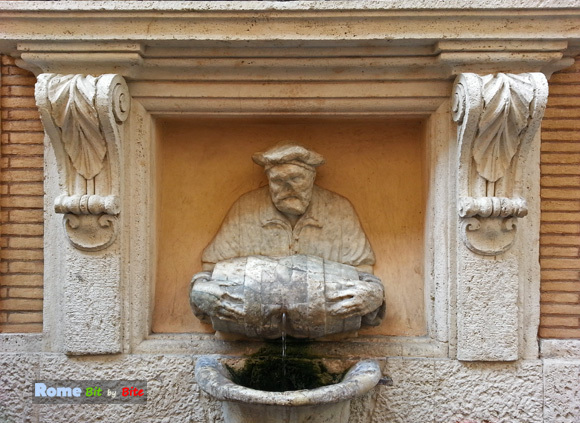 Marforio complained to Pasquino that the Romans would have to give up their wine so that he could preside over a fountain. 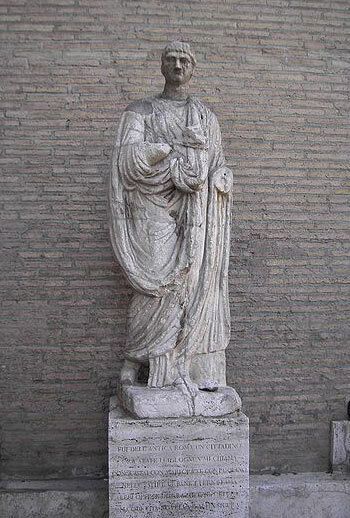 The statue of Madama Lucrezia, the only female talking statue of Rome, was probably named after Lucrezia d’Alagno, mistress of Alfonso V d’Aragona, King of Naples. After the death of her lover, Lucrezia moved from Naples to Rome and lived in the very neighborhood where the statue is now located, on Piazza San Marco in the angle of Palazzo Venezia and the Palazzetto. Originally, the statue may have been part of the Temple of Isis, which stood on the Campus Martius, before it was donated to the King’s mistress. 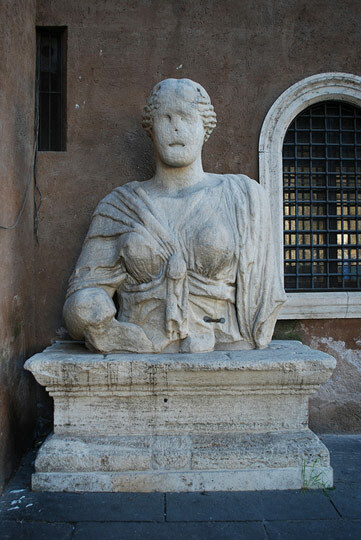 Until recently, most of Rome’s Talking Statues were in a terribly deteriorated state, but a residents’ association of the historic center of Rome and an Authority in charge of the conservation and appreciation of the City’s cultural assets undertook to restore the statues. The initiative covers, more specifically, the statues of Madama Lucrezia, Abbot Luigi, Pasquino and the Facchino. Ironically, it is the first time that inhabitants and Institutions will cooperate on a project, and moreover, on one involving important symbols of Roman vox populi against authority. 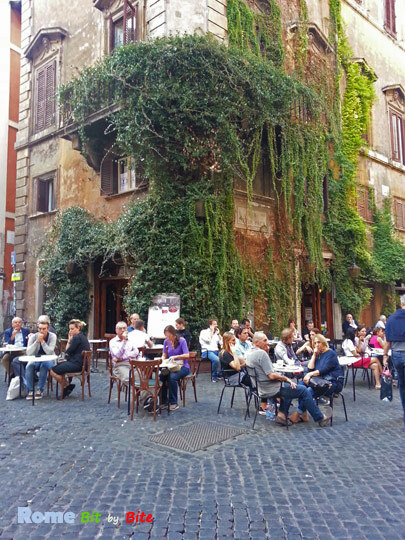 Want to visit the oldest literary cafe in town, or just go for a drink in one of the iconic bars of Rome where celebrities have their cappuccino or aperitif ? 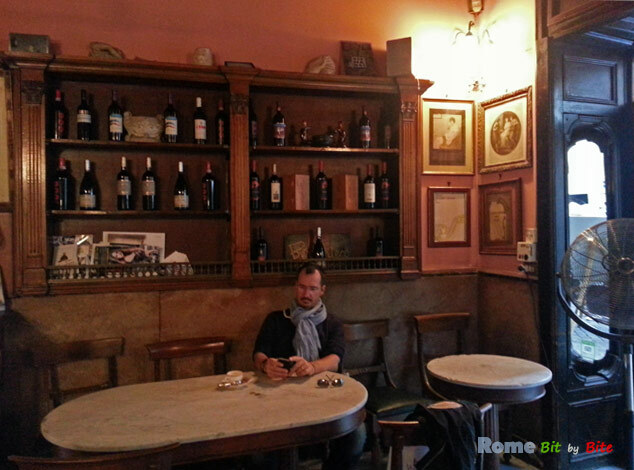 Here is our list of the most famous, oldest and most elegant cafes in Rome. 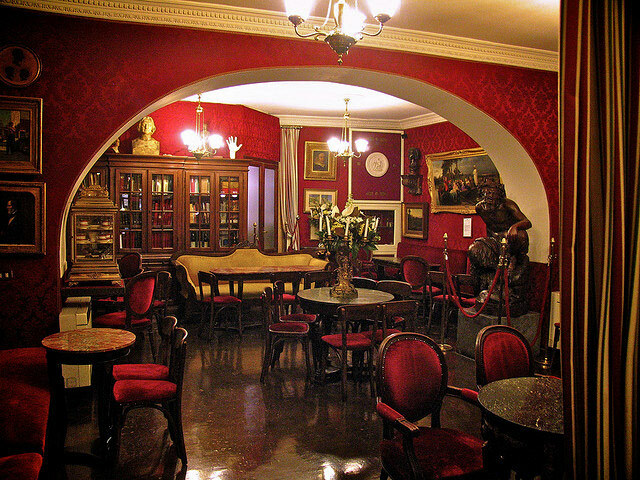 Located in one of the most exclusive shopping streets of Rome, Via Condotti, this literary caffè comes first in our list, not so much for the quality of its coffee, but because it is one of the oldest in Rome. Looking a little dusty and worn out, the place is definitely worth a visit for its history. Walk inside, have a look around and have a coffee or cappuccino at the counter. 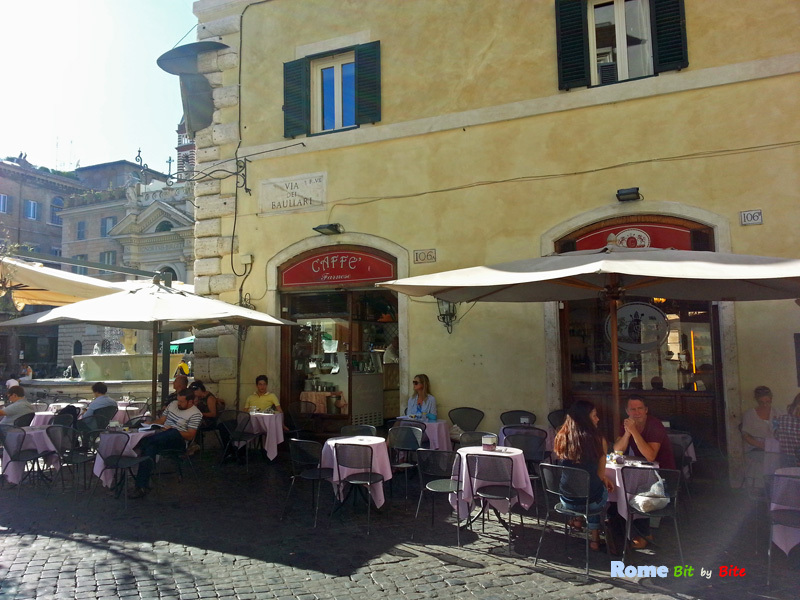 The price charged for a caffè seduto (sitting at a table) is not really worth paying for, unless you are looking for some interesting place in the very center of town, where to sit down and spend some time writing, or reading, while doing some people watching. Then this is the place to be ! 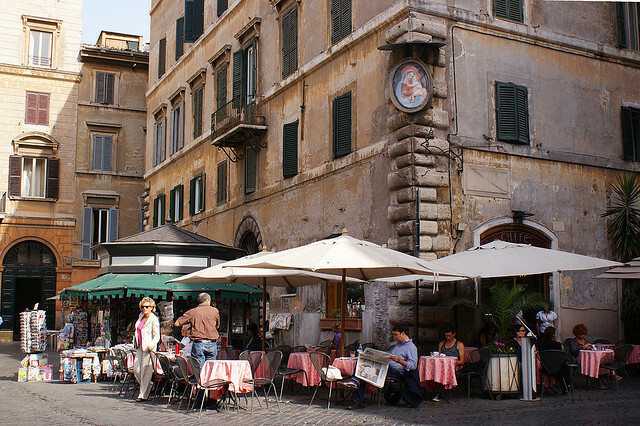 Located in a beautiful small square just off Piazza Navona, this cafe is known for its clientele of painters, artists, writers and show business people. The terrace overlooks the church Sante Maria della Pace, while the indoor space consists of three charming little rooms in a mixed style of Baroque and Art Nouveau. 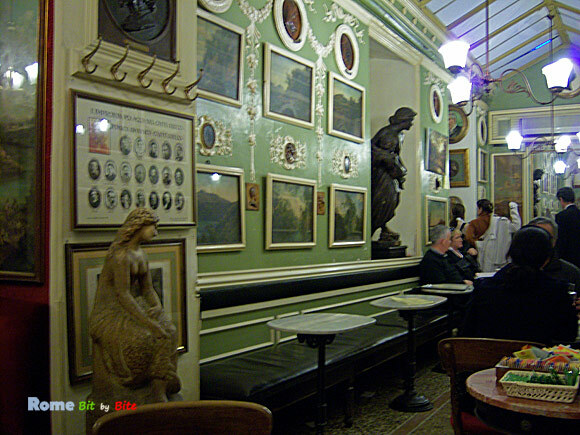 It was in this cafe that the art movement Transavanguardia started. 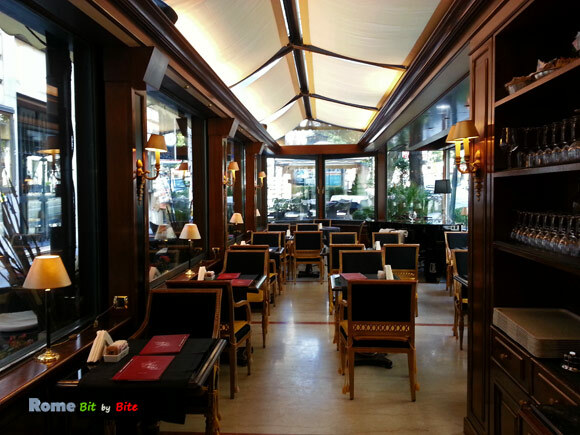 A very elegant, luxury cafe with a piano bar and an air of nostalgia. It is located on the famous Via Veneto, one of the most expensive streets in Rome, lined with luxury hotels and imposing mansions. 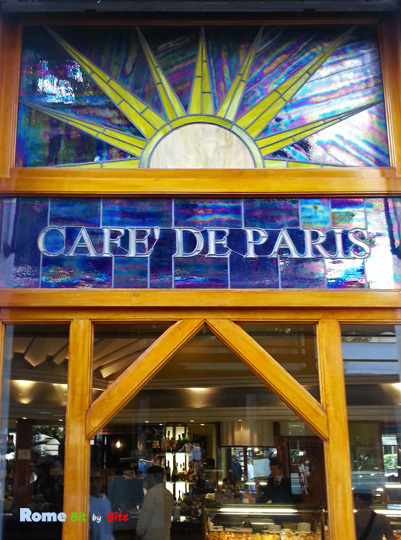 Founded in 1956, Café de Paris was immortalized in 1960 in the movie La Dolce Vita by Italian filmmaker Federico Fellini, starring Anita Ekberg, Marcello Mastroianni and Anouk Aimée. In the 1960s, the cafe was one of the preferred hangouts of starlets, nobility and rich business people. The cafe reopened only in recent years after it had been closed down for two years, when it was discovered that it had been used as a front for money-laundering by the mafia. The iconic institution was confiscated by the state and is now run by the Agenzia nazionale per l’amministrazione e la destinazione dei beni confiscati (National Agency for the Administration and Allocation of Confiscated Properties). They serve excellent coffee and decaf espresso. There is also an adjoining restaurant. 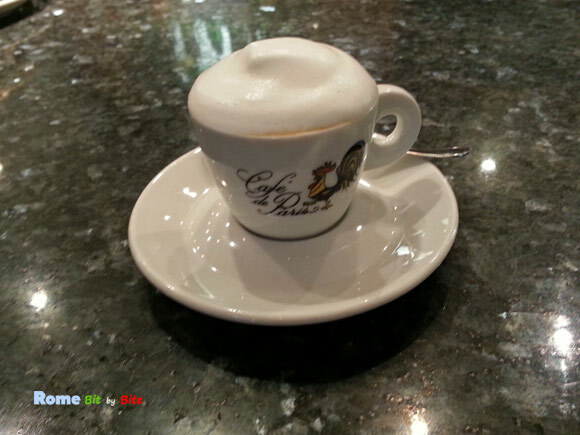 The staff is very friendly; the barista went out of his way to prepare me a one-of-a-kind caffè schiumato. 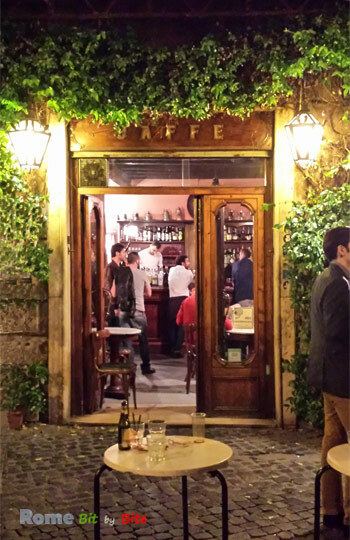 Located close to Palazzo Farnese (the French embassy), this elegant coffee house has a lovely terrace ideally situated on the quiet Piazza Farnese, close to Campo de’ Fiori. 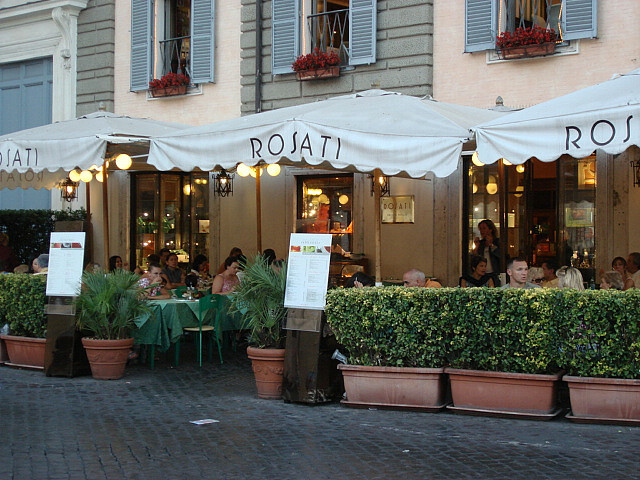 Located on the famous Piazza del Popolo, this Art Nouveau cafe founded in 1923 attracts an elegant, heterogeneous clientele. The venue tends to become more interesting at night. 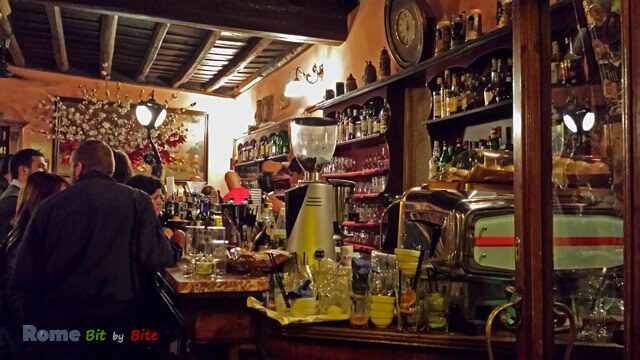 More renowned for its tramezzini and sandwiches – which are a delight to both the eye and the palate – than for the quality of its cappuccino. 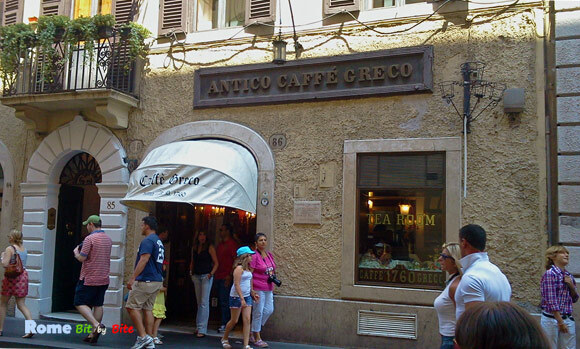 For decades this used to be THE coffee institution in Rome, where you could enjoy one of the best coffees in town. 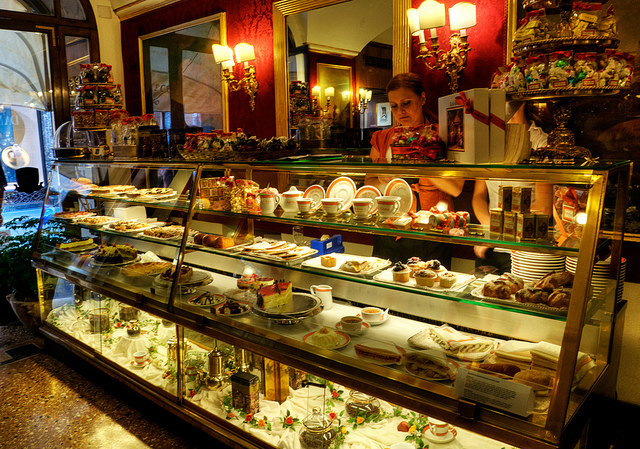 The place was renowned for its delicious Gran caffè and marrons glacés, their specialties. 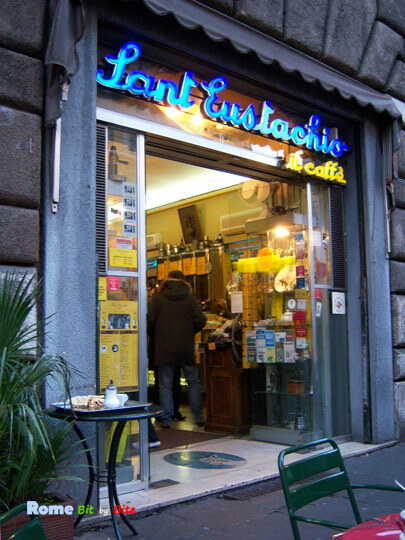 Our original review of Caffè Sant’Eustachio on this page in the early 2000s (with different lay-out), was nothing but praise. Due to the many other articles and reviews that followed across the net, the coffee house has become VERY touristy, and, sadly, the quality of their coffee has changed accordingly. Is it to suit the taste of the now mostly foreign clientele? The Gran caffè, which once used to be a double-sized coffee nectar, now boils down to a caffè (very) lungo and even the coffee taste is not as great as it once used to be. The National Etruscan Museum, hosted in Villa Giulia in Rome, boasts the world’s largest collection of Etruscan objects and antiquities. 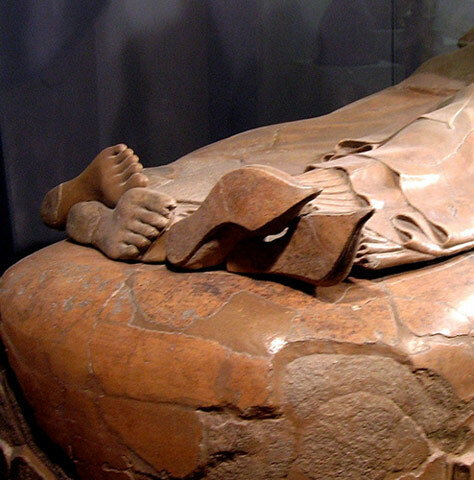 The history of the Etruscans is both intriguing and paradoxical. Almost entirely overshadowed by Ancient Rome, the Etruscans nevertheless gave early Rome its first Kings and engineers, who built the Circus Maximus and one of the world’s earliest sewage systems that helped drain the local marshlands. This paved the way for Rome to grow from an early hill settlement to a city with palaces and temples that would reign over the Western World. The Etruscan influence ended with the expulsion of the last Etruscan King, Tarquinius Superbus, marking the end of the Roman Kingdom and the beginning of the Roman Republic. 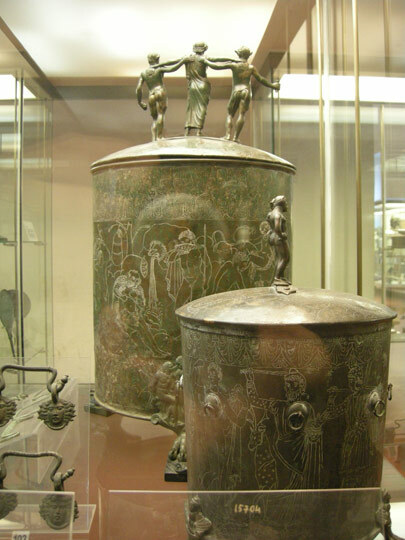 Even though the Etruscan civilization was ultimately entirely absorbed by the Romans, it greatly influenced their culture. The Etruscan language gave loanwords such as the Latin persona (person) from phersu and place names such as Parma. See: extinct languages of Italy. The charming, mannerist Villa Giulia itself is also worth a visit. It was commissioned by Pope Julius (Giulio) III and designed by Bartolomeo Ammannati, together with Giorgio Vasari and Vignola in 1551-1553. The museum was created in 1889 with finds from the archaeological site of Falerii Veteres (now Civita Castellana, Lazio). The collection was later expanded with finds from excavations in Southern Etruria. Etruria covered an area corresponding roughly to Tuscany, western Umbria, and northern Lazio, bordered by the Tiber in the South and East and by the Arno in the North. Further donations and acquisitions such as the Barberini collection (in 1908), the Castellani collection (in 1919) and the Pesciotti collection (in 1972) make the Villa Giulia museum the world’s most important representative of the Etruscan heritage. Etruscan art is particularly renowned for its figurative sculpture in terracotta (especially technically challenging life-size figures), cast bronze and metalworking (including refined jewelry). Pyrgi tablets, ca. 500 BC. The rare and unusual Pyrgi tablets are a real treasure, both from a linguistic and a historical point of view. What makes the tablets so special is that they are bilingual: two tablets are written in Etruscan and translated into Phoenician on the third one, making it possible for researchers to use the Phoenician version to read and interpret the otherwise undecipherable Etruscan. 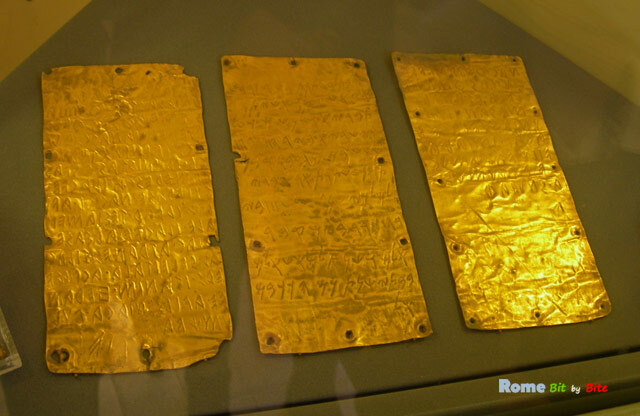 The tablets date from the beginning of the 5th century BC and are the oldest historical source of pre-Roman Italy among the known inscriptions. They record a dedication of a temple to the Phoenician Goddess Astarte (also known as Ishtar) by Thefarie Velanias, the ruler of Caere (now Cerveteri). From a historical point of view this attests evidence of Phoenician or Punic influence in the Western Mediterranean. The temple relief from Pyrgi depicts the myth of the Seven against Thebes, the third play in an Oedipus-themed trilogy produced by Aeschylus in 467 BC. 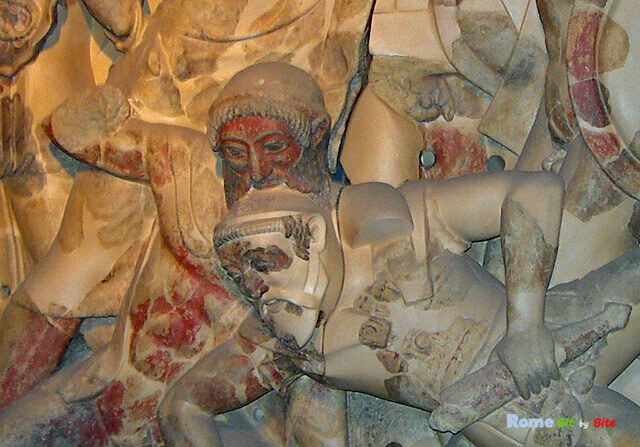 A particularly gruesome detail of the temple relief shows Tydeus gnawing on the living brain of Melanippos in the course of the battle, when the armies of Polynices and Eteocles are fighting for Thebes. 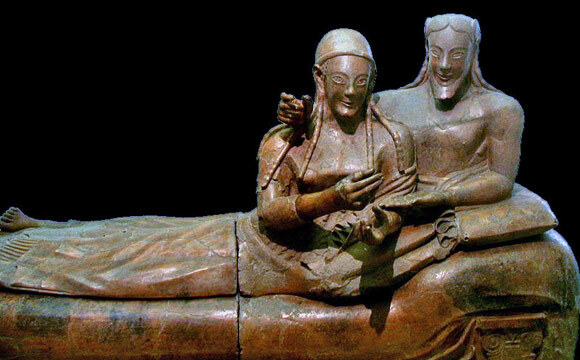 The Sarcophagus is adorned with two figures representing a husband and wife on a couch as if they were at a banquet. Actually, while the object is generally referred to as the ‘sarcophagus’, its true function remains unclear. It may actually have been a large urn designed to contain the ashes of the deceased. We know that it is a funerary object because of the hand gesture of the woman, which reveals a ritual of offering perfume, which along with the sharing of wine, was a typical part of the funeral ceremony. Unlike in Greek culture, where banquets were reserved to men, Etruscan women, who held important positions in society, were represented by their husbands’ sides, in the same proportions and in a similar pose, showing their equal status. The expression of the faces, the soft areas of their bodies, the almond-shaped eyes and long braided hair indicate Greek Ionian influence. 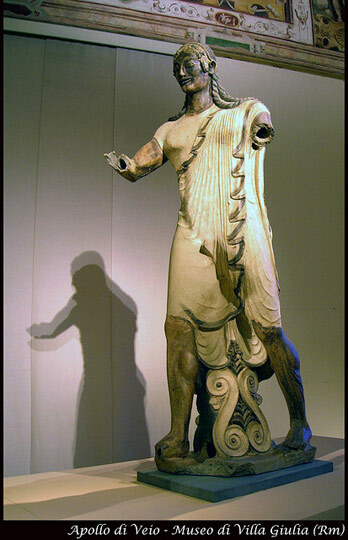 However, the marked contrast between the high relief busts and the very flattened legs, and the preference for stylistic effects over anatomical accuracy is typically Etruscan. Instead, the hands and feet are particularly well rendered. 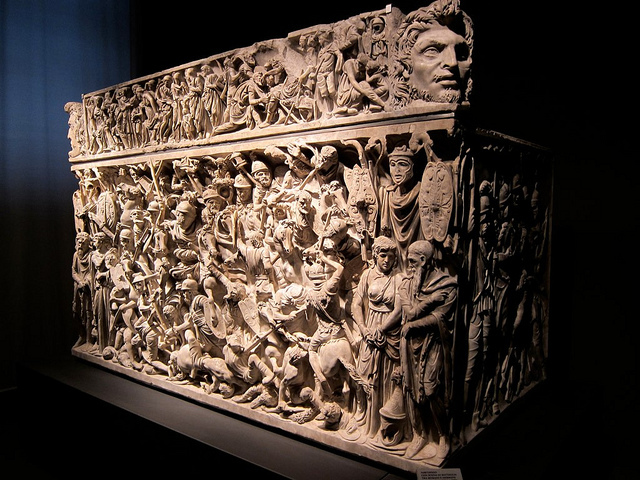 The Sarcophagus of the Spouses was made in the late 6th century, most probably by the same artist who made the Sarcophagus of Cerveteri, exhibited in the Louvre, Paris, which looks very similar. The over-life-size painted terracotta statues represent Heracles fighting the god Apollo for the Sacred Hind in the presence of Artemis and Hermes (however only the head of Hermes remains). Originally the statues were part of a four-figure scene representing one of the twelve labors (or dodekathlon) of the hero before his apotheosis among the divinities of Olympus. Discovered in 1916, the statues were commissioned by Tarquinius Superbus in about 510 – 500 BC to decorate the Temple of Veio in Portonaccio. It is attributed to Vulca, a famous Etruscan sculptor who was born in Veio. The Chigi vase is one of the most important examples of proto-Corinthian art. The vase or olpe is an ancient wine decanter made in Corinth in about (640-625 BC) and brought to Veio, where it was discovered in 1882. It is a unique exemplar of grecian polychromatic painting found in Italy. The technique used and the black figures are typical of that time, yet the brown, yellow and white colors are not. Among the scenes depicted is the Judgment of Paris and a battle. Scenes depicted on objects of that period showing this type of complexity are usually considered high ceramic art.The artist, active between 640 – 630 BC, is known as the Chigi Painter (Pittore dell’olpe Chigi). However, some authors favor the appellation “Macmillan Painter” after the perfume bottle (aryballos) with lion-head mouth from the Macmillan collection exhibited in the British Museum in London, attributed to the same artist. The Castellani collection features one of the finest collections of antique jewellery in existence. 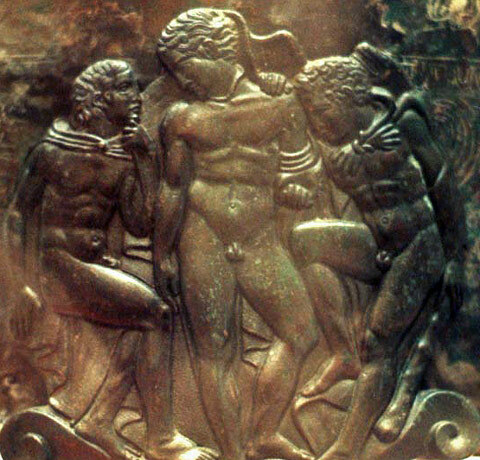 Heracles (right), Eros (center) and Iolaus (left). Foot of the “Cista Ficoroni”, an Etruscan bronze toilet box, 4th c. BC. The Cista Ficoroni is a rare toilet and jewelry box used to store objects used for the care of the body. The cistae were usually cylindrical, with engraved decoration. The Ficoroni Cista, named after Francesco Ficoroni, an antiquarian who found it in Labico (now Lugnano) in 1738. It is the largest and most refined surviving example of a cista. Both the names of the artist and the person who ordered the cista, most probably as a wedding gift, appear in an archaic Latin inscription. Rome Bit by Bite™ © 2013-2016 by Italy Bit by Bite™ © 2013-2014. All rights reserved. 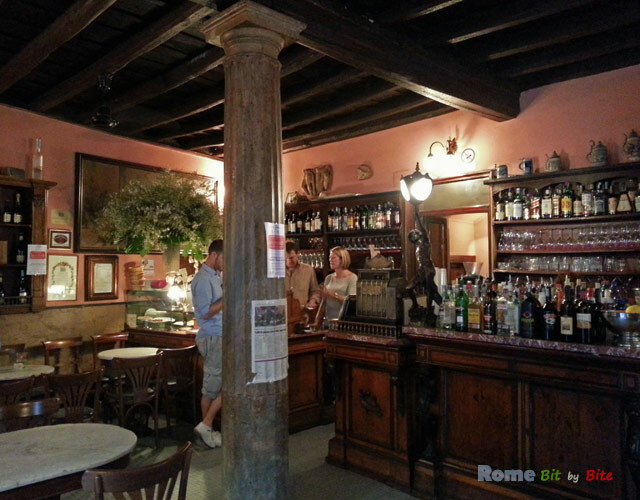 Formerly: Your Guide to Rome © 2005-2014 by Your Guide to Italy © 2005-2014.